IMAK® Arthritis Gloves are designed to help relieve aches, pains, and stiffness associated with arthritis of the hands. In addition to being designed by an orthopedic surgeon, IMAK Arthritis Gloves have also earned the Arthritis Foundation’s Ease of Use Commendation for its design. 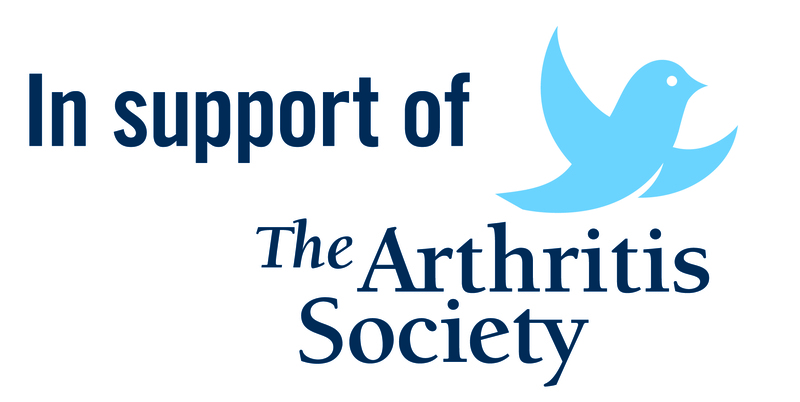 Read more about the commendation on the Arthritis Foundation’s web site. The unique design of the IMAK Arthritis Gloves provides mild compression for warmth and helps increase circulation, which ultimately reduces pain and promotes healing. The Arthritis Gloves are made of soft, breathable cotton material, meaning they are comfortable enough to wear all day and night. The open fingertips allow you complete freedom to feel, touch and grip, so you can perform daily tasks without issue. Read about "What You Need to Know about Arthritis" by our expert. Due to hygiene reasons, this item is not returnable. I’m 45 and work in renovations so my hands get a rigorous workout every day. These are my second pair. I definitely notice a positive difference when I wear them when I sleep. I originally found these gloves in the States last fall and bought a pair. Worked great for swelling so I bought a 2nd pair. I now have 3 pairs and I wouldn’t give them up for the world!. 1Pair on inside; 1Pair for when going out; I pair always clean and ready to wear. My hands are feeling great since using these compression gloves. I could have used a larger size. Larger size is offeredon the packing but not on the website. I do a lot of typing in my job and found these to be very helpful with my joint pain. I also sleep with them and found my joint stiffness is so much less in the morning. Have recommended to others who also suffer with Rheumatoid Arthritis as well. I have found these gloves very helpful with carpal tunnel. Work well reducing finger pain. Have been wearing for extended periods of time with good effect. Excellent product, but way over-priced! I have worn this product on and off for several years. It provides warmth and comfort, yet provides the flexibility to use your fingertips to do necessary tasks. The gloves fit snugly, so in cold weather, they can be worn under regular gloves or mitts to provide an extra layer of comfort. Individual pairs are very expensive. Perhaps they should be packaged in sets of 3-6 pairs, so that you can benefit from bulk pricing. Very comfortable; even managed to knit while wearing these gloves.